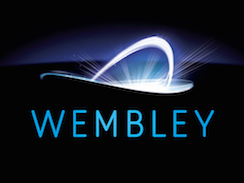 Wembley Stadium strives to make sure event staff deliver a better and safer experience for fans each time they visit. Key to achieving this goal is to ensure all supervisory staff in the Crowd Safety Team, which includes stewards, security, customer service, medical and fire personnel, are trained and developed to be better leaders. With this goal in mind Nick Woodhouse, Head of Health and Safety Compliance at Wembley Stadium PLC, identified Middlesex University as an ideal local academic partner. Since early 2012 over 200 event staff have completed the two-day Thrive Training Partnership course, usually split over two Sundays. The course focuses on finding and unlocking the strengths of staff, developing feedback skills and understanding and developing coaching models. A lot of the work is done with Wembley facilitators and has been reviewed favourably by many of the course participants who already have training roles in the Armed Forces. In November 2012, the first award ceremony was held at Wembley and ten students have now gone on to undertake the Certificate in Professional and Personal Development with Middlesex University. Many students have received distinctions, and event day performance indicators are steadily rising. The Leadership Champions course has led to a thirst for further development, better incident management and an enhanced approach to customer service.